AN embattled Costa media group is being sued by one of Andalucia’s biggest printing firms. Sunsearch Media, run by Stan Israel at the time, is being chased for the non-payment of €8,000 dating back to 2013. Tecnographic, in Sevilla, printed Perfect Homes, one of a range of large, glossy magazines produced by his group. Israel, 53, launched a new company in 2014, called Simply Media Group, whose clients allegedly include Louis Vuitton, Bulgari and even popstar Lady Gaga’s perfume. When confronted last night, dog-lover Israel – who drives a Range Rover – initially claimed to have nothing to do with Sunsearch, claiming it was sold last year to someone who ended up ‘not paying’. But he then admitted he was still a ‘shareholder’. Either way, Tecnographic is still fighting for the €8,000 payment, and has taken Israel to court in Sevilla over the debt. 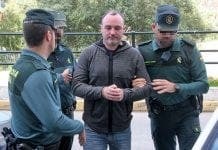 While insisting it had won a judgement against Israel, a spokesman declared: “The problem we have is that he has literally no assets in Spain. Israel, who lives near Estepona, denied the debt accusation completely. He also insisted he had never even heard of Tecnographic, or any court case. “If the job is printed incorrectly, we don’t get paid and hence the printers don’t get paid,” added Israel last night. Simply Media Group promotes itself as a ‘new advertising management company who specialise in the marketing of high end, luxurious magazines’, having taken over the magazine production from Sunsearch in 2014. Israel has run a string of dissolved media companies in both the UK and Tenerife. 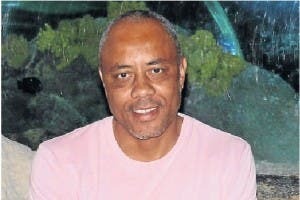 In 2006, his Luton-based firm, Oceana Television and Media, was fined £21,000 (€28,650) for illegally dumping commercial waste despite council warnings. The company pleaded guilty to three counts of unlawful rubbish disposal and one count of failing to provide waste transfer notes. Israel’s co-director at Oceana and long-term partner, Lisa Brown, 37, is now an assistant editor at Simply Media. Is this really news, I owe my landlord 3000 do you want to do an expose on me too? In this day an age most of us have debt, and have received fines of some sort whether driving, littering or whatever. I can think of more “interesting” characters in the media industry around here to write about. Stan Israel owes me money too. When I demanded to be paid he started intimating that he would rubbish my name on the Costa Del Sol, despite him being in the wrong. I think it’s great that the Olive Press have shed light on the way he does business. This is also a cautionary tale for those people who are considering advertising with him. He seems to thinks that fulfilling financial obligations to those who have performed services for him are optional. The coast is a small place and your chickens always come home to roost. Speak for yourself. Most people don’t have debt. They should be named and shamed. S S, I suppose it is news and Stan Israel is one of the “interesting” character’s you mentioned. It also gives an insight to others who maybe giving credit to company’s he is involved with. Please read the write-up properly and then give an honest opinion on this “interesting” character and not yourself. Example OP lists companies they have crossed off. Is this really front page news – local business man has debt!!! Incorrect, this was not the front page news and believe Bryan was not referring to people you have mentioned or indeed people such as yourself but to the likes of Stan Israel. Jacko, have you seen the hard copy of the newspaper, it is front page news! The point I am making is most people have debt so why single out just one local business man as I mentioned in my earlier post if you asked 9 out of 10 businesses most would have some sort of debts so why is Stan Israel singled out? Given that we are just coming out of a recession (so the papers say!) I would have imagined that businesses have been the worst effected so therefore of course they’re going to have debts.. I just don’t see the point of this story unless of course there’s a hidden agenda! No doubt Beverly C, if there are more “interesting” characters similar to Stan they will hit the headlines and that’s what newspaper reporters report. The point of this article was a report on this person and nobody else, but it would appear that if Stan feels that he is a victim then counter sue Tecnograaphic for defamation of character. Simple really, no hidden agenda, nothing about peoples personal debts but a court case on a person not paying his debts. Nothing new. Happens all the time. Next up, man parks on yellow line and gets fined. lol. Stan Israel didn’t pay me for work I did for him. This is an article that could save people money and time dealing with someone who isn’t trustworthy and doesn’t believe in paying for work or services he has requested. Let us not forget that the person owed the money could be suffering financial hardship due to being unpaid. EXPAT MEDIA BOSS TAKEN TO COURT BY SEVILLA PRINTERS OVER NON-PAYMENT. Stan Israel owes me money too. I wrote an article for one of his magazines which he claimed was never published – despite the fact that it was and I had a copy of it too! This man always has a story and is completely untrustworthy. Is this news? Yes, to a lot of people like me it is a big deal since being screwed has become so much a part of life on the Coast. I am fully aware that it is possible to be screwed over wherever you live, but you have to admit that the Costa del Sol is especially bad for this kind of thing. I am so relieved not to live there anymore. Excellent advice, Stefanjo! I gave up expecting Mister Israel to pay me a couple of years ago and feel so much better for it. This is what you wrote which is incorrect. Perhaps a slight confusion as to what you class as a hard copy of the newspaper, front page news. FINALLY, this man is getting the exposure he deserves. He reaps what he sows…and all that.